You'll explore the less-touristy side of things at Seurasaari Island and Open-Air Museum and Room Escape Games. Kansallisgalleria and Natural History Museum (Luonnontieteellinen Museo) are good opportunities to explore the local culture. Explore Helsinki's surroundings by going to Espoo (Nuuksio National Park & Arctic Expedition) and Sipoonkorven Kansallispuisto (in Vantaa). 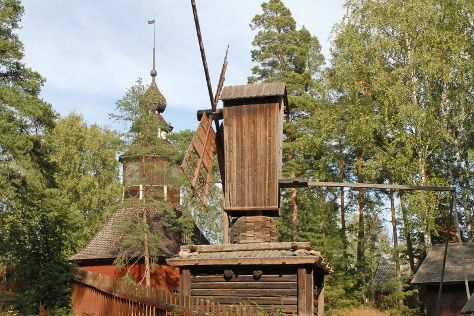 There's lots more to do: steep yourself in history at Mannerheim Museum, take a memorable tour with Tours, trek along Pornaistenniemi Nature Trail, and take in the pleasant sights at Uutelan luontopolku. Toronto, Canada to Helsinki is an approximately 13-hour flight. You can also do a combination of flight and ferry; or do a combination of flight and train. The time zone difference moving from Eastern Standard Time (EST) to Eastern European Time (EET) is 7 hours. Traveling from Toronto in October, expect Helsinki to be slightly colder, temps between 10°C and 1°C. Wrap up your sightseeing on the 17th (Thu) early enough to travel to Loviisa. Loviisa is a municipality and town of inhabitants on the southern coast of Finland. 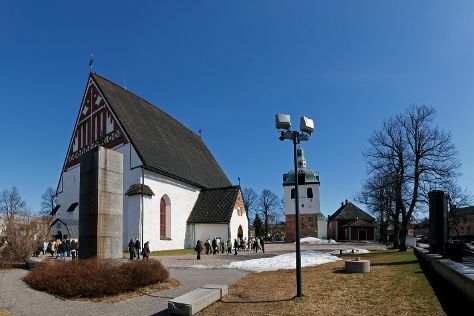 Kick off your visit on the 18th (Fri): steep yourself in history at The Runeberg Home, appreciate the extensive heritage of Castle Hill, admire the landmark architecture of Cathedral of Porvoo, see the interesting displays at Porvoo Museum/Holm House, then stroll through Fredrika Runebergs Park, and finally make a trip to Porvoo Old Town. To see traveler tips, maps, photos, and tourist information, read our Loviisa online trip itinerary planner . Drive from Helsinki to Loviisa in 1.5 hours. In October in Loviisa, expect temperatures between 8°C during the day and 1°C at night. On the 19th (Sat), you'll have the morning to explore before heading back home.